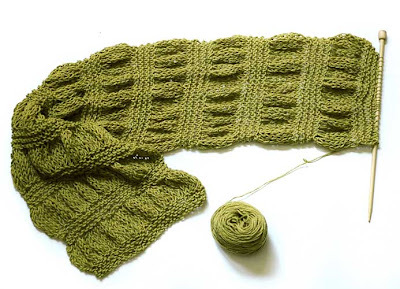 We've been busy around here, but somehow I've managed to squeeze in some quality knitting time. 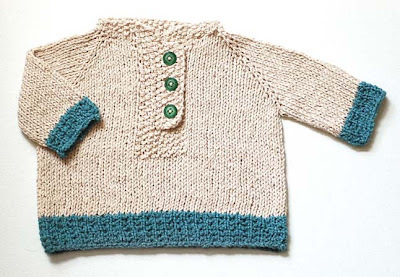 Nate's cousin had a baby this last week, so I decided to make up a little baby sweater for him. It is very loosely based on the baby sweater from Last Minute Knitted Gifts, but I did it top down, used my recycled cotton yarn, and I heavily modified the button band as well. I've also been working on my packaging for my etsy items. 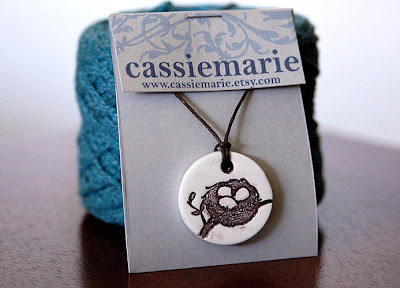 I've designed some new yarn tags, and also made new necklace packages. Let me know what you think of them! I'm going to be putting a lot more cotton yarns up in my shop soon, so keep your eye out for them! I've been spinning singles of the recycled cotton yarn (it comes apart really stringy from the sweaters, think multiple strands of thin cotton with no twist) and then plying it back upon itself to make nice, easy to use plied cotton yarn. I really like working with it. I used to use only wool for most of my projects, but I have no idea why. 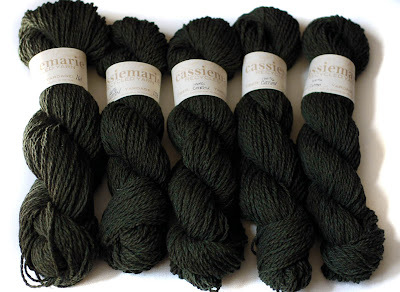 Even merino sometimes bothers my super sensitive skin, so I've finally bit the 'elitist fiber snob' bullet and now use a ton of 50/50 cotton and acrylic blends. And you know what, I'm still alive, and still enjoying knitting! I know! In other news, the hubby and I are going to Galena in a few days for our anniversary, and it should be very relaxing. They even have a super yarn store, what more could I ask for? love love love it-- you do such beautiful work.